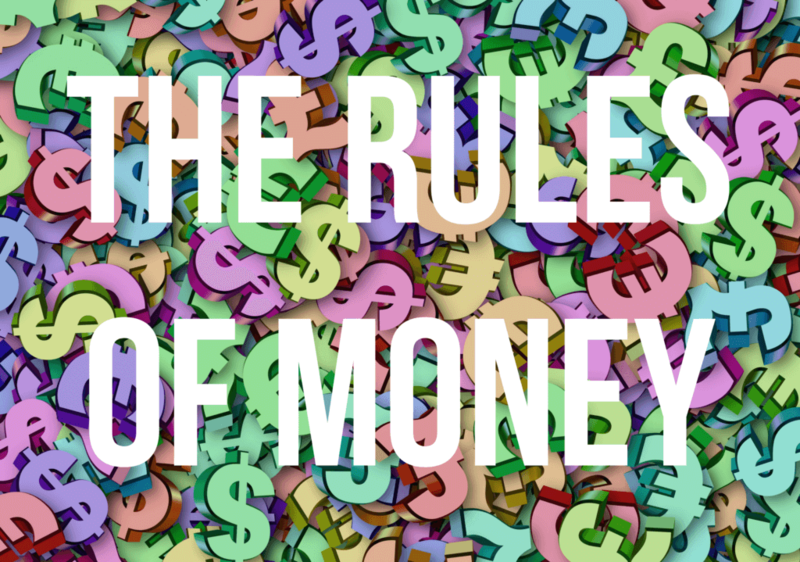 Welcome to ‘The Rules of Money‘ as presented by MoneyByRamey.com. The principles listed within are nothing new but their execution can be the difference between Financial Freedom and financial failure. By committing yourself to following these rules of money on a daily basis, you are beginning to walk the path of Financial Freedom. Should you follow these rules long enough, the success you seek will find you. This is the first and greatest rule. None of these other money tips will help you if you cannot or will not spend less than you earn. This is commonly referred to as ‘to live within your means’. What does this look like? You make $100k, you might spend $50k and save the rest. You make $20k, you spend $15k and save the rest. In both scenarios, the individual is generating savings. Obviously Financial Freedom is much easier to achieve when you make more money however, the rule still holds true no matter the income level. If you make $100k and spend $150k, you have no money left over for savings. In fact, under this scenario, you would be hurdling towards debt servitude by accumulating expenses above and beyond what you earn. No matter your income level, unless you are spending less than you are earning and saving/investing the remainder, Financial Freedom will elude you. The first goal you should be saving for is a well-capitalized emergency fund. An emergency fund is a fancy term for having money available for when those pesky unexpected expenses hit. The car breaks down? The house needs a new roof/furnace/windows? Your child needs to have braces and you have not yet hit your deductible? No worries, all of this is covered by your emergency fund. Typically, the goal for the emergency fund is to have 6 mos – 1 yr worth of salary/income saved. So for the family of four earning $50,000, the goal is to have $25-50k available. Keep in mind this is for EMERGENCIES ONLY. No, getting the latest TV at a ‘fire sale’ price does not qualify as an emergency! So you are spending less than you earn, you have your emergency fund built up – what next? Here comes the fun part – you look for creative ways to invest the rest of your money. By this stage of the game, your acumen will have increased to a point where you have the ‘basics’ taken care of and will now begin to seek after the next stage in this financial journey; investing. The key to a successful investing strategy will be to own a good mix of stocks and bonds inside of a well-diversified portfolio. My personal forte is to buy income producing dividend stocks. Remember that when buying stock, you are taking ownership in the company; when buying a bond, you are lending to a company and in return receive interest payments. Each has its own risk and reward. There are many other ways to invest your money as well, the key here is to be creative! Safety of principle is a key component to any investor’s strategy, so be sure to watch your money closely. Or if you would like to leave the investment process up to the professionals, the time has never been easier. There are index funds offered by the major investment firms which have the one goal of tracking the various indexes. You’ve heard of the S&P 500 right? Well the index fund will simply buy and hold investments which correlate to the S&P market movement. Investing has never been easier! Each of us has special skills that we bring to this world. Your goal is to find out what those skills are and then capitalize on those skills. The idea is to find the point where “PASSION = POTENTIAL” and to pursue that idea until you have taken it to its full completion. This stage of the game is known as generating ‘Active Income’: income generation for which you you trade hours in the day. As we keep growing in our skill sets, we can offer more and more to this world at higher and higher prices. I recommend working on one new venture at a time and gauging the success factor. If the venture seems to be working, great! Keep it rolling. If it does not, then fold it up ASAP and move onto something new. While I advocate thoroughly vetting our ideas and coming up with a solid action plan, I recommend adopting a “Ready, Fire, Aim” approach to implementing our active income ideas. In this approach, we have an idea, do some quick planning, but in general, we want to have a quick speed of implementation factor to see how the idea works. In the “Ready, Fire, Aim” approach, if it seems like there is potential behind the idea, then we continue to pursue it. If not, we fold it up and move onto the next one. We want to stick with something long enough to see if it has a decent chance of succeeding. Remember that the best teacher is failure; we learn by trial and error! Once you have an emergency savings set up, you are diligently working to pay off debt, and you are in a financially stable place, your immediate goal is to build systems and buy assets that can make money for you. In this place we can get creative with our ideas: you could own real estate, stock vending machines, buy Lime or Bird scooters, sell ebooks and courses, or buy stocks that generate dividends. The ideas of how to generate passive income is limited only by your imagination and ability to work hard. This phase is somewhat similar to the previous one, the only thing that is different is that we are targeting to own assets that will be putting our money to work for us. Having multiple passive income streams is the end game of the monetary path you are on. Being able to live off of passive income streams is not only possible but practical if you set yourself up for success through proper money management. You know you are living your dream when your passive income streams begin to cover bills in your life. Perhaps it is only one small bill in the beginning. But over time, if you continue on the upward and onward trajectory, you will soon see your passive income covering 15%, 40%, or 75% of your expenses. Once it crosses the 100% threshold and continues to climb, your financial life will be on auto-pilot. In adopting the brick-by-brick mentality, begin to see how well your money is working for you. If you make $50/mo. in interest and dividends, this is the cost of a monthly cell bill or utility bill. This is a feat that is to be celebrated and honored. By seeing this type of achievement, it will serve to keep your motivation high and secure your path towards being financially free. If you follow the rules listed above, Financial Freedom will be your reward within due time. Stay the course, practice discipline, and watch everything else take care of itself!